I have wanted a Vitamix for over a year now. I have debated and debated about whether or not to order one because they are very expensive. I don’t have a blender, only a Magic Bullet and a food processor. I do love the Magic Bullet and it has seen a lot of good use. But the Magic Bullet can’t handle everything and ours is starting to show its wear and tear. And I’m not a fan of the food processor because I really hate to clean all its different parts. I am very blessed to work for a company that pays annual bonuses, so when I found out what my bonus would be this year, Benzo and I decided we would take part of the money to treat ourselves to a Vitamix. I think once we made the decision Benzo was more excited about it than I was! We decided to go with a factory-reconditioned Vitamix. It is the same as a brand new Vitamix, only it was either returned by a customer or used in a demonstration. We have a refurbished Kitchen Aid stand mixer that has worked beautifully without any issues for over four years now. So with that in mind and the fact that the reconditioned model is $70 cheaper than new, we decided reconditioned was the way to go. 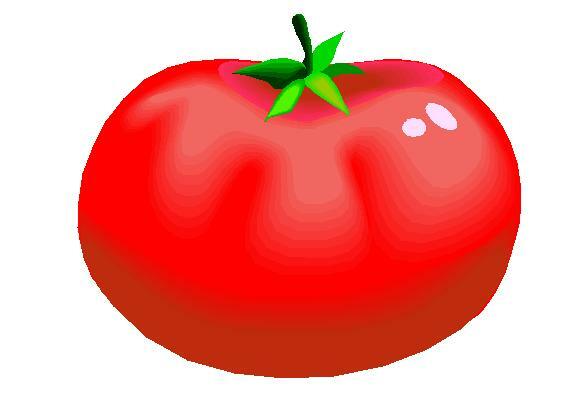 Isn’t it a beautiful color? I was amazed that this juice came out of that blender. The only ingredients were carrots, water and lemon juice. The carrots were not even cooked, they were completely raw. 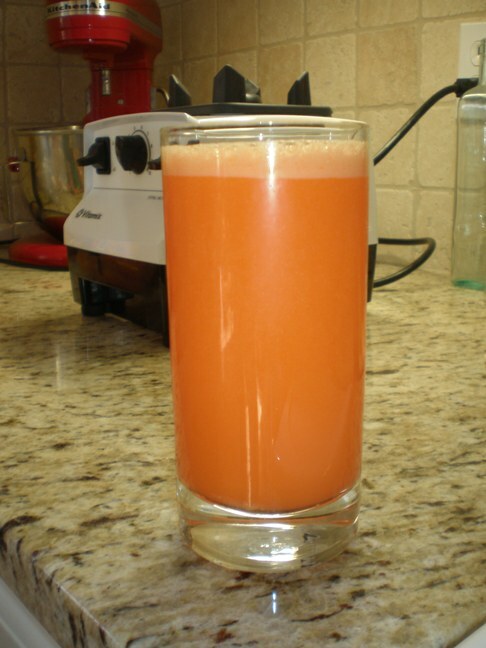 The Vitamix is powerful enough to blend the raw carrots into a completely smooth drink. I started to wrinkle my nose at it at first, but then decided I should try it. It was actually pretty good! 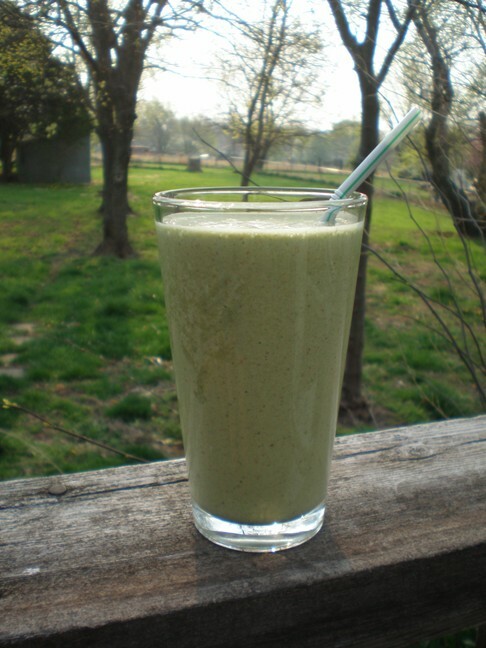 This morning we made the first green smoothie using KALE from the garden. 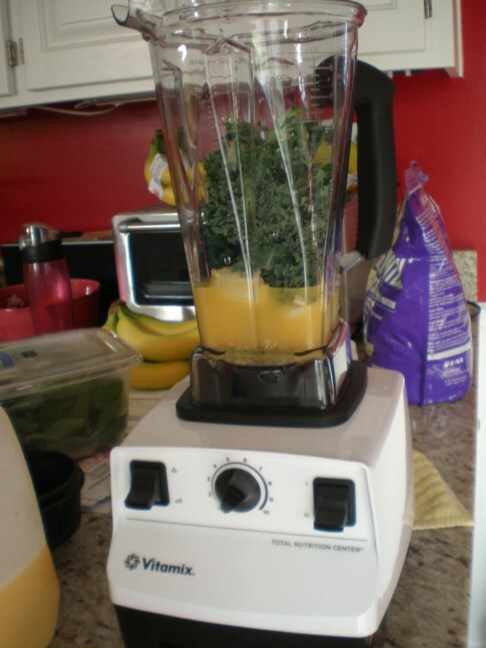 I always wanted to try kale in a green smoothie since I have a free supply in the garden, but heard that regular blenders can’t get it all the way smooth. And chewy smoothies do not sound that appealing to me. It was enough for two people. And then I did something I’ve never done before. I actually took my glass outside to photograph it for this blog. Does this make me an official food blogger now? Hahahaha. The kale smoothie turned out great. No bits of kale or anything. It was completely smooth and tasted like strawberry-orange-banana. No kale taste that I could find. 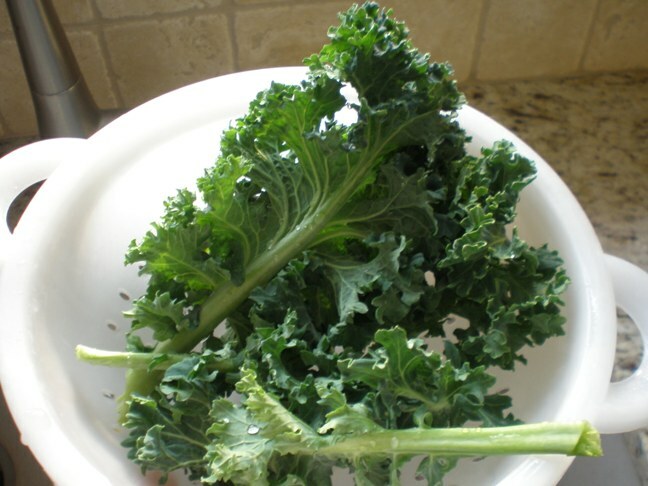 I think I’ll be making these kale smoothies a lot since its so easy to grow in my garden. 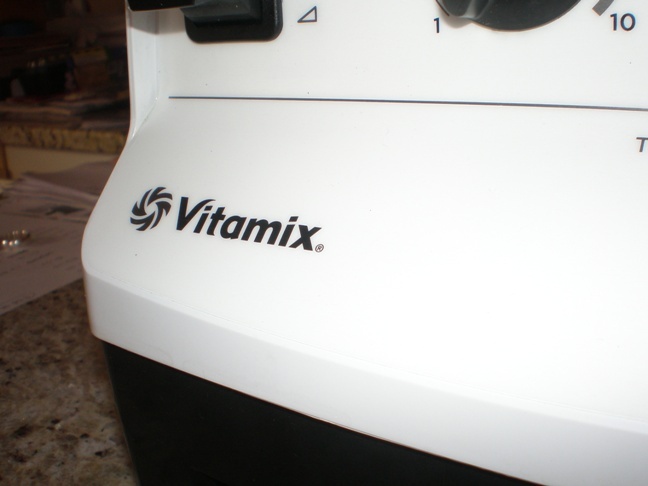 If there are any other Vitamix owners out there, what do you like to make in your Vitamix?